Fashion Runway Event… Pictures Coming Soon! 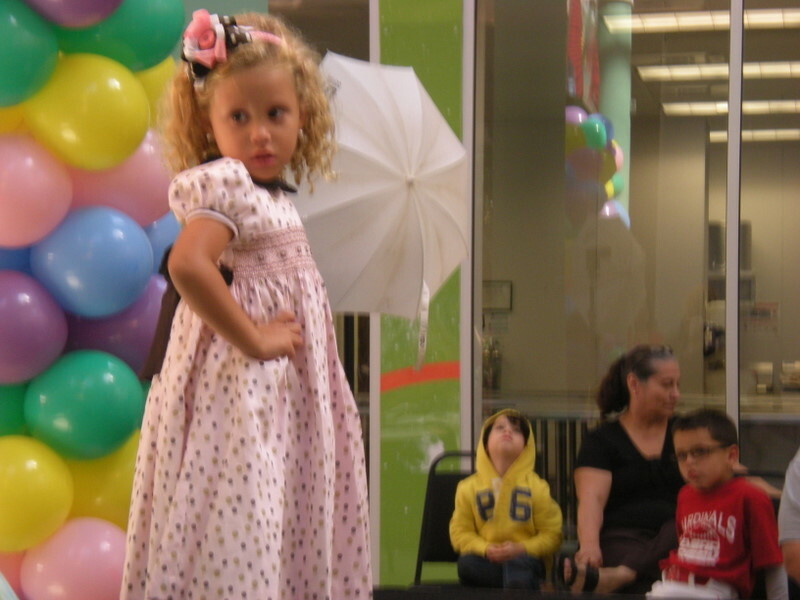 Our Fashion Runway Event for CMN was a memorable one! Thanks to all those involved to help out a great cause in the community! TV Mision will soon have available a CD of the event for all those interested to have a copy of the event. We are so proud of all the girls and boys who walked, they were all aware their walk was for a cause! Everyone enjoyed the preview of our spring 2012 collection and they all headed afterwards to the boutique for free refreshments and bites courtesy of Babies and Babies and Tase International Group, Empanadas P&P. There were two photographers on hand to take great photos of the event and individual mini sessions for those who requested them. Soon information on how to contact them for the photos. You may contact us at 407-240-2969. We will be having our Fashion Runway Event to Benefit the Children’s Miracle Network on Saturday October 22, 11:00am at The Osceola Square Mall in Kissimmee. Hospitals, television stations, radio stations and sponsors working together to help children. The Children’s Miracle Network Hospitals began in 1983 to help children by actively supporting better health care for kids. Today more than 170 hospitals worldwide, specializing in treating children, make up Children’s Miracle Network Hospitals. The organization is unique in that 100 percent of the money raised locally goes directly to the participating Children’s Miracle Network Hospitals hospital, helping children from your community. Shands Hospital for Children at the University of Florida and Arnold Palmer Medical Center share the funds raised through Greater Orlando Children’s Miracle Network Hospitals. More than 250,000 children come to these two hospitals each year for treatment, including children with cancer, AIDS, and birth defects…organ transplant patients and accident victims…and children living with chronic illnesses such as diabetes, cystic fibrosis, kidney disease and heart disease. Shands Hospital for Children and Arnold Palmer Medical Center use Children’s Miracle Network Hospitals money to purchase patient care equipment, fund research, provide diversionary activities and support educational and advocacy programs for children’s health. Children’s Miracle Network Hospitals makes it possible for these hospitals to maintain and upgrade their pediatric programs so they can continue to provide young patients with the most advanced medical treatment available. Thanks to the hospitals, stations and sponsors who make up the Children’s Miracle Network Hospitals team, thousands of children are winning the battles of their lives every day.